It is not uncommon for people to mistake manufactured homes, modular homes, and mobile homes, because at first glance these look almost the same. But there are many hidden and even obvious differences when you get closer, and when considering moving into a new home or investing in the next cash-flowing rental, you will need to bear the following information in mind. These are fabricated homes which are not built fully on-site, but they are no longer built at independent sites, and haven’t been since 1976. That is when the HUD issued more stringent codes for safe construction and installation for all homes built in a factory. Mobile homes now can be located inside a mobile home park or on an owner’s land, and should have steel I-beams running along the underside, resting on top of concrete blocks, wooden pillars, metal stands, or a permanent concrete foundation. These are essentially mobile homes built to new and higher safety standards as mandated by the HUD, with the parts built and shipped on flatbed trucks in 10’ to 12’ foot sections, which are then fixed at the site. The same site will then serve as a temporary or permanent location for the new home. After setting up the manufactured home to the power and utilities, it is required that a local code inspector review the connections, but not the structure itself. Home loans for building are granted under FHA guidelines, although usually for 20 years or less in duration. 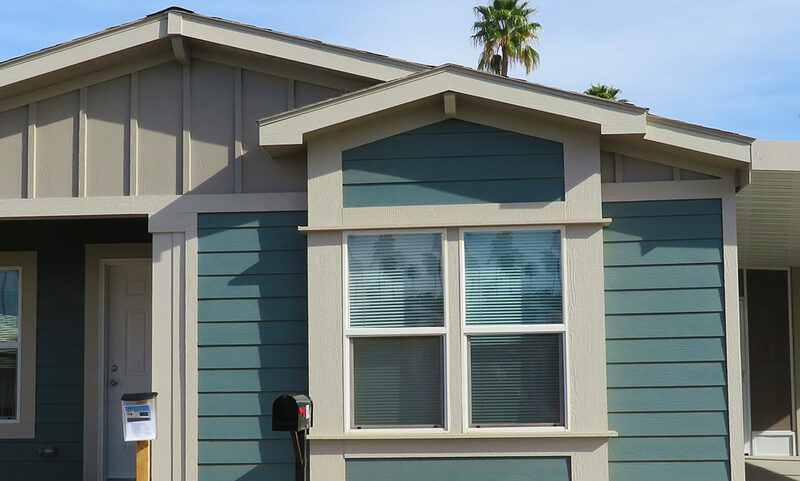 You can see the best examples at Palm Gardens Arizona manufactured homes. These are the pinnacle in factory-made housing. They are different from mobile homes and manufactured homes, in that construction here adheres to the same standards as site-built homes, although requiring less time and energy than with the process of starting from scratch. Factory-built material allows reducing the time and costs by almost half, and dispels the worry of damages or work stoppage caused by rain, wind or snow. Shipped from the factory on flatbed trucks, these parts are joined on-site, sometimes using cranes. The only downside is that a code-inspector must pass the utility connections, as well as building codes utilized in the interior and exterior. In summary, mobile homes are the kind of movable homes that come to mind when you think of alternate housing, and manufactured homes are a better version built to higher safety standards. These comprise the best options for senior living post-retirement, such as at Windsor Park Arizona manufactured homes.